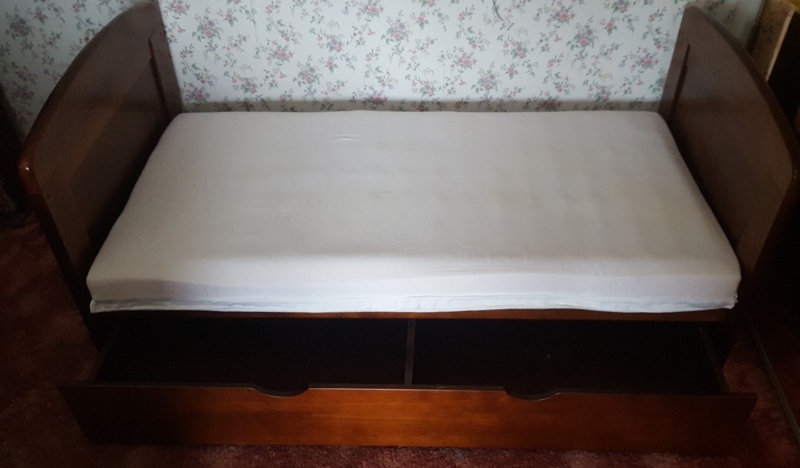 Free our Granddaughters solid wooden bed, she is now outgrowing it. There is signs of scratches and chips to the wood but in very sound and good condition. 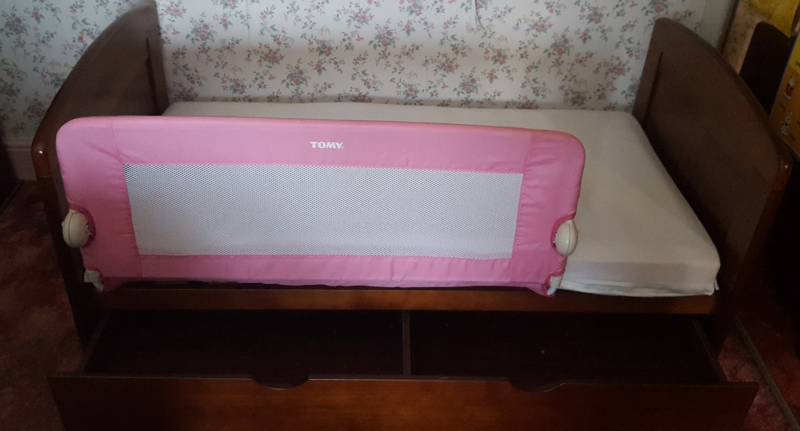 There is under bed storage in the form of a caster draw, we are also including a Tomy safety guard, the bed size is 57 inches x 30 inches (76cm x 145cm). Bed as now gone, please close topic.